Earnings are gushing at energy giants including $210 bln PetroChina. They are benefitting from Washington’s belligerence, which has driven up crude prices and should open opportunities in Iran. The windfall, though, masks the need for extra investment, cost cuts and other reform. 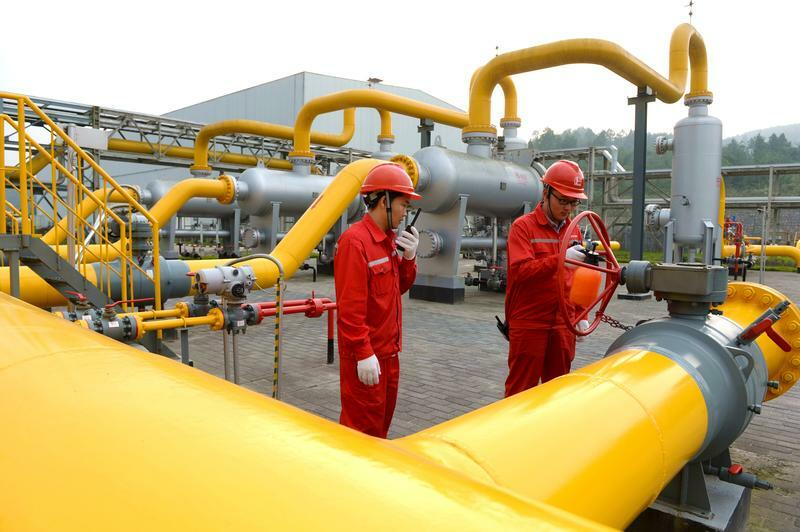 Workers inspect equipment at a shale gas field of Sinopec in Fuling, Chongqing, China November 2, 2017. Oil and gas company CNOOC, the listed arm of the state-owned China National Offshore Oil Corporation, said on Aug. 23 that first-half net profit climbed 57 percent year on year to 25.5 billion yuan ($3.7 billion) - its strongest performance in three years, thanks to higher crude prices and a more than 20 percent increase in oil and gas sales. China Petroleum & Chemical Corp, known as Sinopec, said on Aug. 26 that its first-half net profit rose 54 percent from a year earlier to 41.6 billion yuan ($6.1 billion), thanks to its upstream and refining businesses. The country’s largest refiner said it expected fuel sales to drop in the second half of the year, because of an oversupply of refined fuels. PetroChina is expected to report its earnings on Aug 30. It said on July 30 that it expected first-half net profit to more than double, potentially its highest six-month earnings since 2015. Global oil prices were up almost 20 percent in the first half of 2018, with Brent crude oil topping $80 a barrel in May for the first time since 2014.